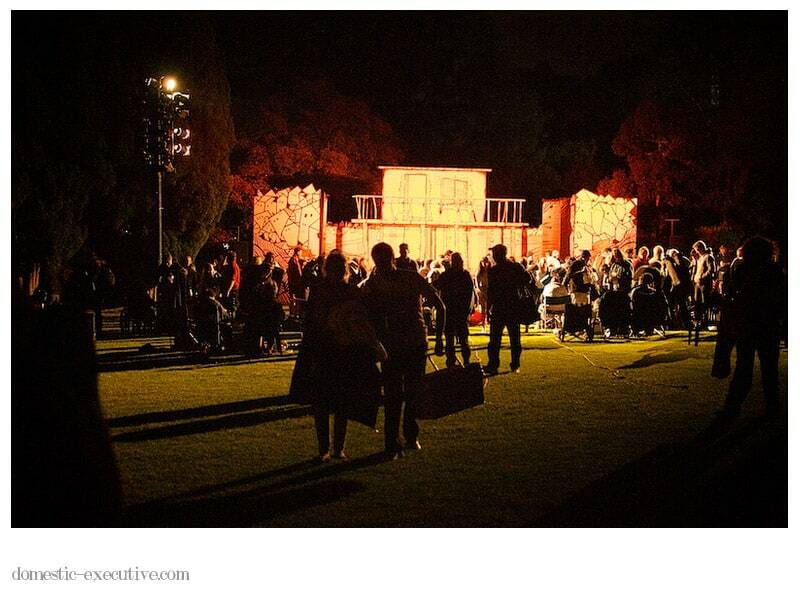 After years of attending outdoor plays performed by the Oxford Shakespeare Company when we lived in the UK it was a total treat to relive the outdoor theatre experience in Melbourne. We watched Comedy of Errors by the Australian Shakespeare Company which was a rip roaring take on one of the Bard’s popular hits. I don’t know whether it’s the compulsory drinking and snacking or just sitting under the stars but outdoor theatre experiences always seem more relaxed and slightly mischievous. It does of course help to have a great play and actors to entertain you with and we weren’t disappointed at all. I love the fact that at the end of the performance there is no harsh auditorium lights to make you blink and bring you to back to the harsh realities of life. You can simply pick yourself and your picnic kit up from the ground where you’ve been lounging and leave the venue in darkness still engrossed in the world that the play has transformed you to. A perfect theatrical afterglow.